Rebecca De Mornay is an American actress and producer, who debuted her first film role as Lana in Risky Business in 1983. Her others films role includes Sara in Runaway Train(1985), Thelma in The Trip to Bountiful(1985), Helen McCaffrey in Backdraft (1991) and as nanny Peyton Flanders in 1992’s The Hand That Rocks The Cradle. She was born on August 29,1959, as Rebecca Jane Pearch in Santa Rosa, California, United States of America. Rebecca is the daughter of Julie (Eagar) and Wally George, a television, radio commentator and a DJ. She holds an American nationality and belongs to a White ethical group. Rebecca has several half-brothers and half-sisters whom she has never met. Her paternal grandmother was child actress Eugenia Clinchard. Her parents divorced when she was young. Her mother married Richard De Mornay and Rebecca took his stepfather’s surname De Mornay when she was five. She got her school education in Summerhill school which is situated in Leiston, Suffolk, England. She was later trained as an actress in New York at the Lee Strasberg Institute. Rebecca’s first appearance on the film was a small part in Francis Ford Coppola’s 1981 film One from the Heart. Her star-making role came two years later in "Risky Business" (1983), as a call girl who seduces a high-school student played by Tom Cruise. In 1985, she played the role of the Slugger’s Wife and co-starred in The Trip to Bountiful and Runaway Train, both of which were nominated for several academy awards. The Same year she appeared in with Starship’s Mickey Thomas in the music video for the song Sara. The song reached the top in the Billboard on March 15, 1986. Rebecca’s most successful movie was The Hand That Rocks The Cradle, released in 1992. She also starred as a defense lawyer in Sidney Lumet’s murder drama Guilty as Sin (1993) with Don Johnson. In 1995 she appeared in the film Never Talk To Strangers by Antonio Banderas, for which she was also the executive producer. In 2003 she appeared in the first two episodes of season 2 of Boomtown. She also started in the 2007 drama, American Venus. In June she appeared in the HBO series John from Cincinnati with a starring role as matriarch of a troubled Imperial Beach, California. She appeared in Darren Lynn Bousman’s Mother’s day in 2010. In 2012 she acted as Finch’s mom in the movie American Reunion . in 2015 she appeared in Marvel’s Jessica Jones as Trish Walker’s abusive mother. Rebecca married Bruce Wagner on December 16, 1986, who is an American novelist. Due to some misunderstanding between them, they divorced in 1990. In the same year, she was engaged to the Canadian singer Leonard Cohen. Rebecca co-produced Cohen’s 1992 album The Future, which also dedicated to her with an inscription that quotes Rebecca’s coming to the well from the chapter 24 Book of Genesis and giving drink to Eliezer’s camels after he prayed for the help. De Mornay has two daughters with ex-boyfriend Patrick O’Neal. Her two daughters are Sophia(born November 16, 1997) and Veronica(born march 31,2001). 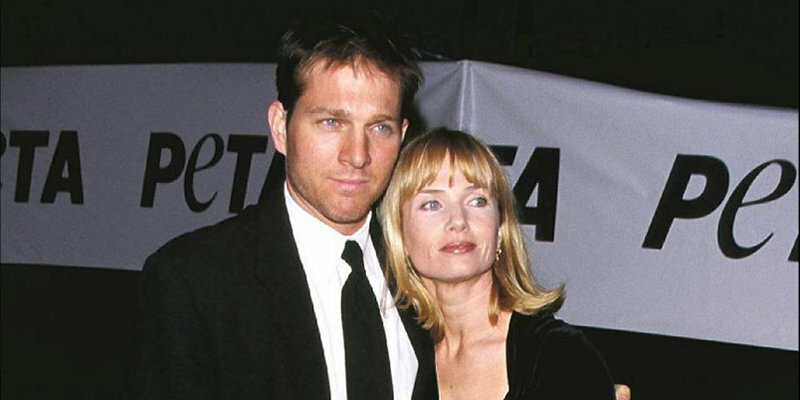 In 2016, Rebecca De Mornay has an estimated net worth of U.S. $9 Million. She gets an extremely good salary from her movies. She played in many other movies, like “Runaway Train”, “The Hand That Rocks the Cradle” and “Backdraft” and much more. Her performance is liked by her fans in these movies which helped her for increasing her worth.